It may be January but you can still enjoy a dinner out with this fab offer from TGI. 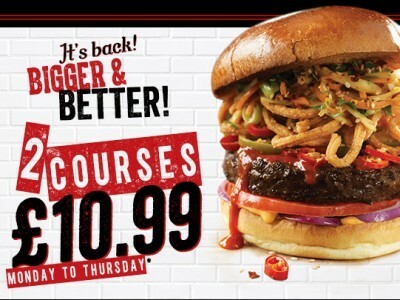 Feast on their famous Bruce Lee Burger plus an appetiser for just £10.99 Monday to Thursday. You don't even need a voucher to claim this offer, just book a table and visit your nearest TGI.